Read news today that Justice League United is finishing in December and I find that I’m not too disappointed with that. 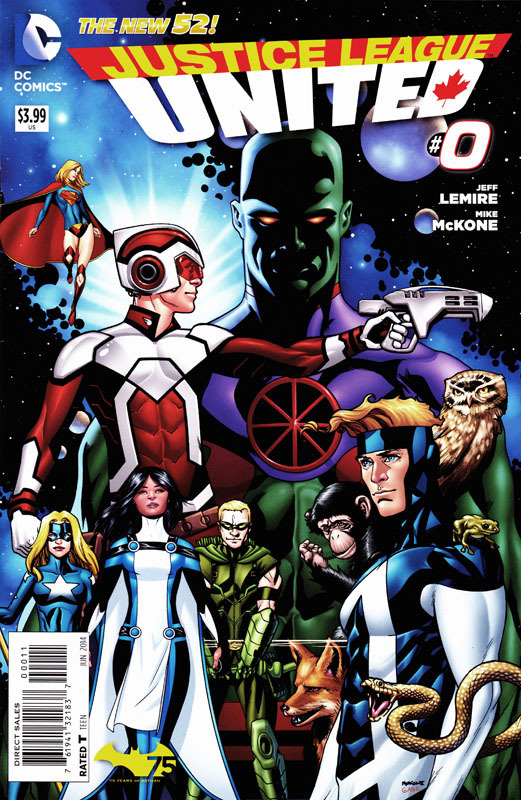 Jeff Lemire and Mike McKone’s first few issues were good and even after McKone left, Lemire’s writing was enough to keep me on board, but post-Convergence, I’ve struggled with the title to be honest. Jeff Parker’s Aquaman writing is good but on JLU he seems to be struggling. The new set-up has Adam Strange trapped in a Zeta Beam, communicating to his team mates about anomalies across the world and who they need to recruit to deal with them. The revolving membership of the team and being sent on missions instantly put me in mind of Justice League Task Force which started out with a similar brief and we all know that didn’t end well. This will bring my DC ongoing titles down to seven which is the lowest it’s been for a good few years. And, unless something outstanding appears in the December solicitations, I’m not sure that number’s going to increase. Posted on Monday, September 14, 2015 by GaryPosted in Cancellation, NewsTagged Justice League. Previous Previous post: Flash! Preacher!